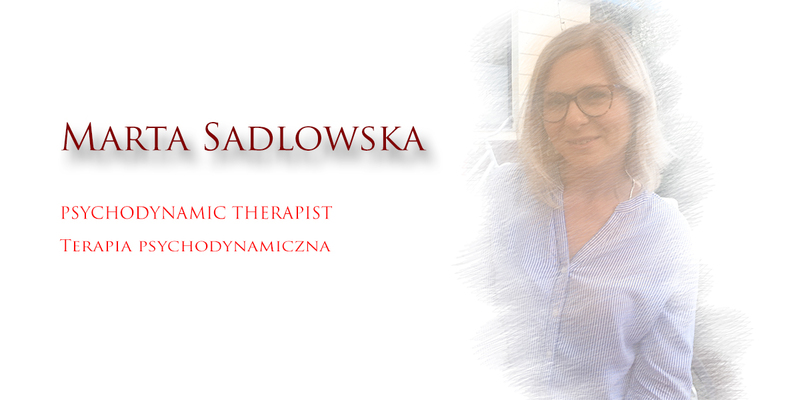 Marta Sadlowska- Psychodynamic Therapist, registered member of BACP (British Association for Counsellors and Psychotherapy). I provide confidential short term counselling and long term psychodynamic therapy in both English and Polish languages. To ensure the highest standards across the profession, all practising psychotherapists registered with the BACP (including myself) are required to attend supervision to ensure consistency of practice and clinical safety. I participate in clinical supervision and ongoing CPD training as a requirement of my membership. I have a several years of professional experience within mental health institutions such as: St Marylebone Healing&Counselling Centre, Each Counselling, Place2be, Rethink Mental Illness,Going Home.